Who doesn’t love fried chicken? Who doesn’t love a big buttery waffle? Throw them together and you’ve got something rather special that only fans of the salty/sweet can truly appreciate. 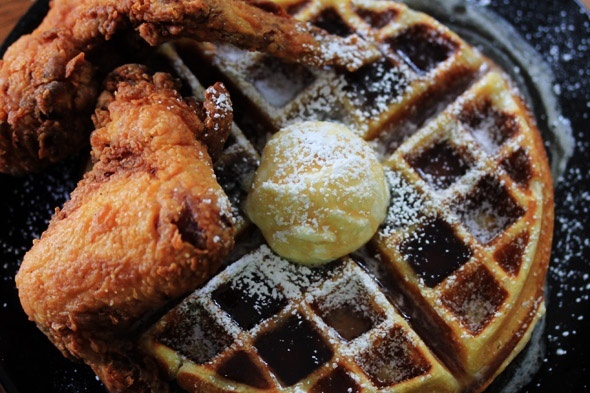 If you think you’re afraid of chicken and waffles together, think of the peanut butter and jelly sandwich. It’s truly the same principle 😉 I encourage you to try it at least once in your life before you write it off. For the fried chicken, I knew I wanted juicy pieces with a crispy coating. 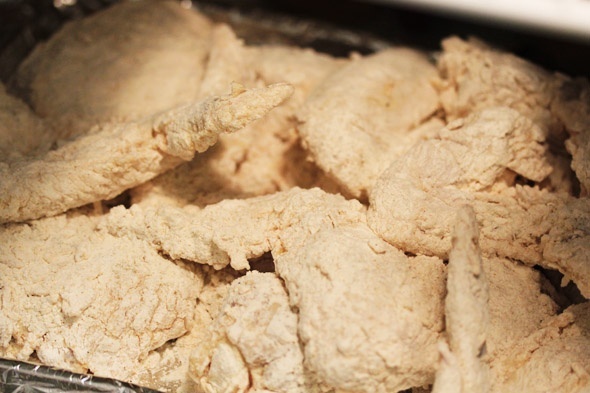 I had nothing but time, so the night before frying I soaked a couple of fat chicken wings in a buttermilk brine. 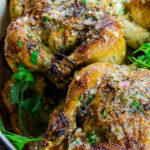 Most people use just plain ol’ buttermilk alone, but I like to add a bit of seasoned salt to it so that the actual chicken meat itself is juicy and flavorful. 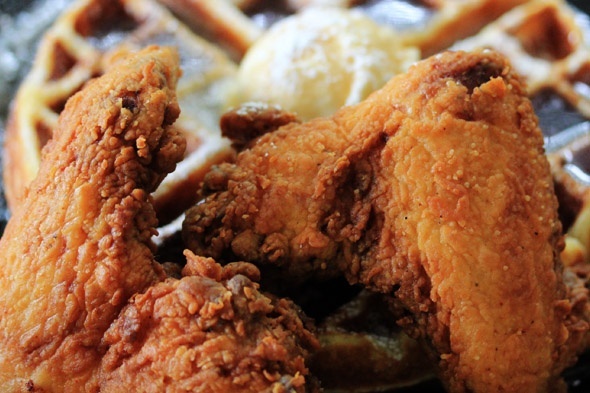 The buttermilk is acidic, so it penetrates the chicken and tenderizes it. But if you add salt to this, it then flavors it by further breaking down it’s molecular structure of the chicken. You absolutely do not have to brine your chicken if you don’t want to. I don’t always do it, especially when frying up chicken wings quickly on the go. I will admit though, whenever I do brine chicken wings, they always come out insanely juicy and tender and literally falling off the bone. It’s heaven in your mouth. Be careful not to brine your chicken for too long or it’ll become too salty. You don’t have to use my fried chicken “recipe”…and I am kinda shy about calling this a recipe because this is another one I never measure. It’s one of those things I’ve been cooking for years and have just mastered the art of “eyeballing”. I will try my best to explain what I did though. I let this proof in a warm oven for 2 hours and look at how big it is LOL! this chicken was smack-ya-mama juicy, and seasoned perfectly! You’ll enjoy this, I promise. Everything comes together and will make you close your eyes with pure delight. Delicious. In a bowl large enough to hold all of your chicken wings, pour in the buttermilk and whisk in the seasoned salt until dissolved. 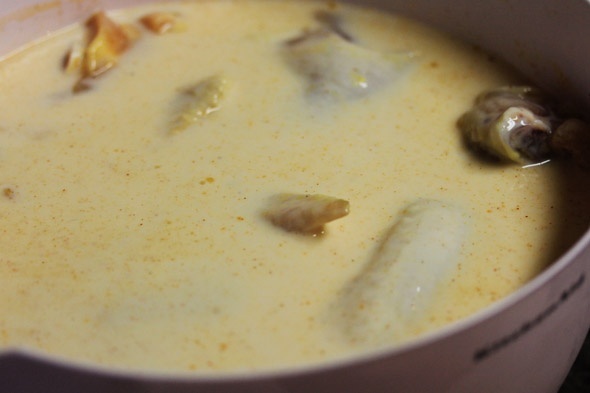 Rinse each chicken wing under cold water then place inside of the buttermilk mixture. 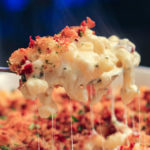 Allow this to sit in the fridge for at least 3 hours, up to 8. 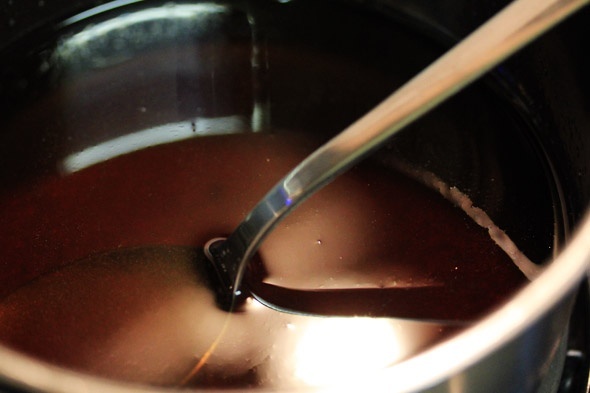 To prepare for frying, heat the oil to 375 degrees using either an electric deep fryer, or large heavy bottomed pot. 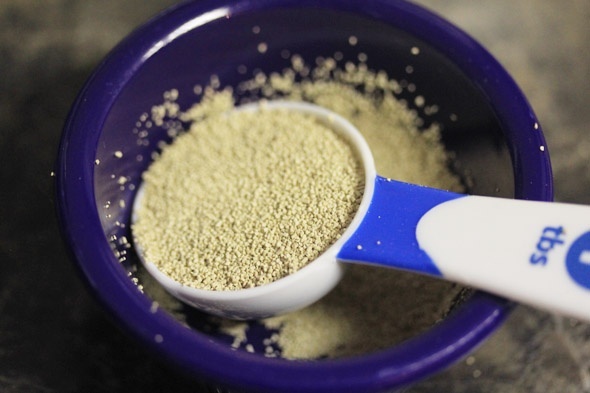 In either a shallow dish, large bowl, or paper bag, mix together the flour and seasoning until combined. 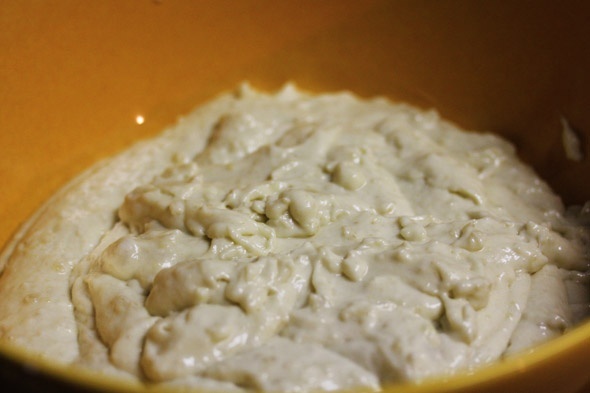 Take each piece of chicken out of the buttermilk mixture, allowing excess to drip off and place into the flour mixture. Toss around until coated evenly. I usually press the flour into the chicken to assure it’s properly coated. Repeat until every piece is coated. Then arrange each piece on a plate and refrigerate for about 10 to 20 minutes — this just helps the flour really stick onto the chicken. Remove from the fridge, and toss into the flour mixture one more time. Shake off the excess and stick into your hot oil. Fry up to 4 pieces at a time for about 12 to 14 minutes or so. Don’t overcrowd the fryer because the temperature of the oil will drop down too drastically and it just won’t fry the way it should. You start with 375 degrees, but once the 4 pieces of chicken are added, it will drop down to between 350 and 365 degrees, which is ideal. I always know when the chicken is ready to come out of the oil when it gets “quiet” in the fryer and is a beautiful caramel brown color and kinda floating to the top of the oil. Drain and repeat until each piece is fried. 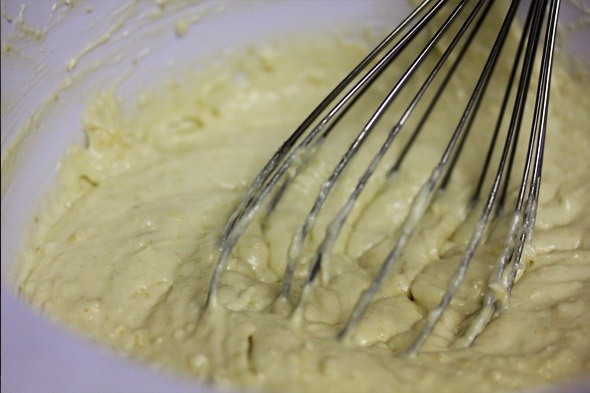 In a large bowl, combine the milk, ½ cup melted butter, flour, yeast, eggs, agave or honey, salt, sugar and whisk until smooth. 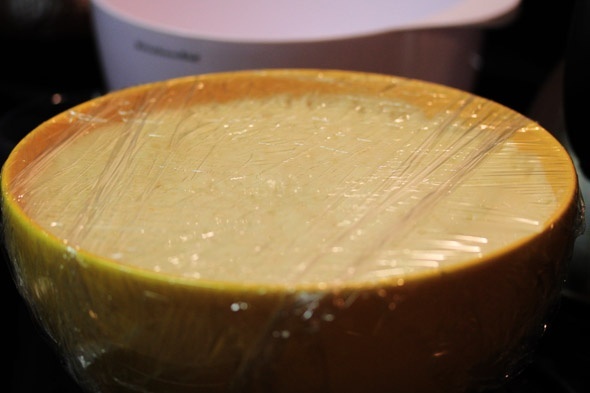 Cover with plastic wrap and let stand until the batter is very puffy, about 2 hours at room temperature (or refrigerate overnight). Preheat the oven to 250°. 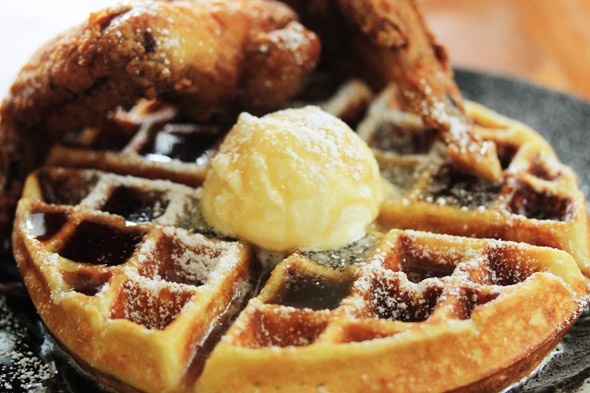 Preheat a waffle iron and brush it with melted butter, or use a butter flavored non-stick spray. Gently stir the batter to deflate it. 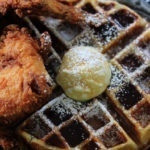 For each batch, fill the waffle iron about two-thirds full (the batter will spread and rise); brush the waffle iron with melted butter as needed. Cook the waffles until golden and crisp. 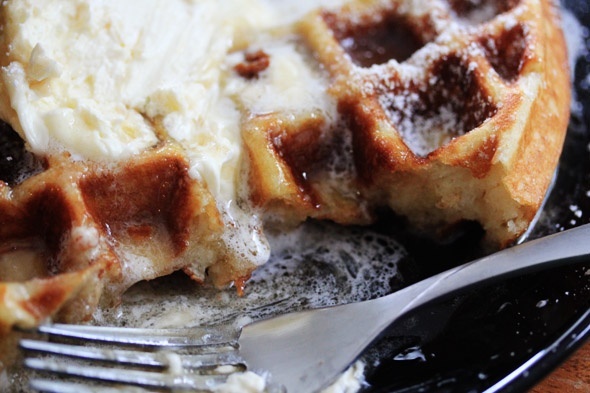 Transfer the waffles immediately from the iron to plates, or keep them warm in the oven. 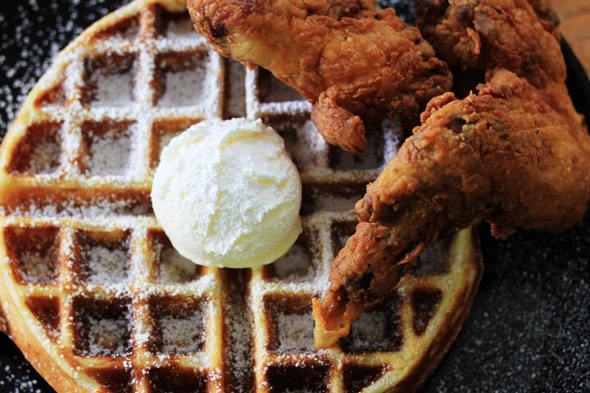 Serve the waffles with softened butter, bourbon maple syrup and fried chicken. 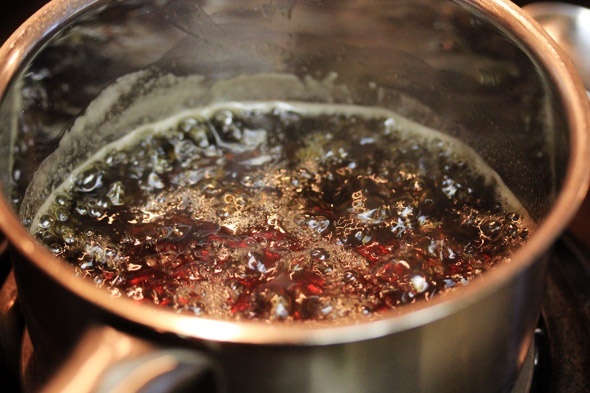 In a small pot, pour in all ingredients and bring to a boil over medium-high heat, while stirring to dissolve the brown sugar. Once it starts boiling, reduce the heat to medium-low and allow mixture to simmer for about 10 minutes. 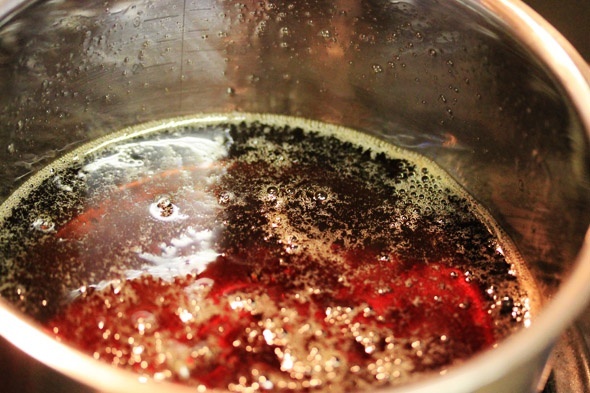 The syrup will reduce a little and the alcohol will burn off, leaving nothing but flavor behind. Turn off the heat but leave the pot on the stove. The mixture will cool down slowly and thicken/caramelize. Just stir it around with a spoon if you need to. 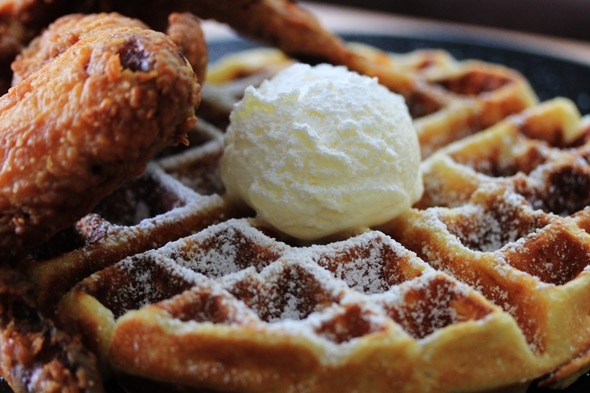 While it’s still warm, pour over your waffles and enjoy. Don’t overcrowd your fryer or pot when frying because it will cause the temperature of the oil to drop down drastically and leave you with soggy chicken. Giving the chicken a good 10 to 20 minutes to chill out in the fridge also helps most of the coating stay on while it’s being fried. I was able to get a small portion and just loved this. You must do this again, and soon, please. Delicious!!! This looks absolutely amazing! I can’t wait to try it. I have one question, did you sprinkle a little powdered sugar over the waffles? This is CRAZY. I have a confession to make. I know I can cook, but sister girl, you Burn the hell out of that chicken and waffle. I just can’t believe this. You need your very own resturant. Crazy, just crazy. Thumbs Up all the way. 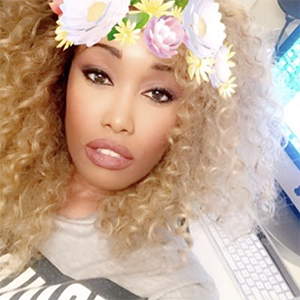 Somehow I ran into your site’s link on Twitter…and baybeeeee… I am in love with everything! I guess I’m on my way to keeping a man afterall! -smiles really big- Thanks for sharing! I think you are ah-mazing, woman. That is all. Thanks for sharing your gift. Haven’t master fried chicken yet. Definately gonna try it your way. This looks hella good! 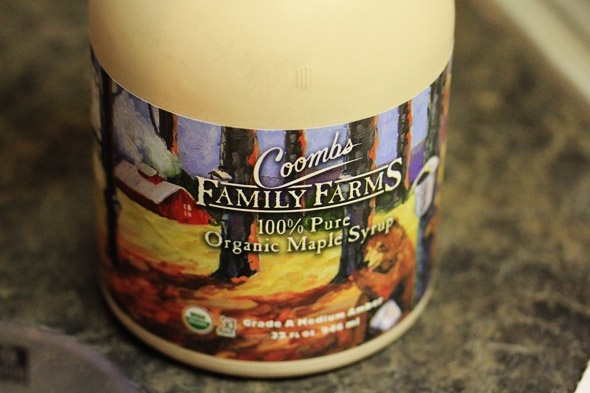 Do you always use Grade A Medium Amber syrup to cook with? Would you prefer that over Dark Amber? I love any of the ambers, light, medium or dark. They’re all delicious, and you can use anyone you’d like. 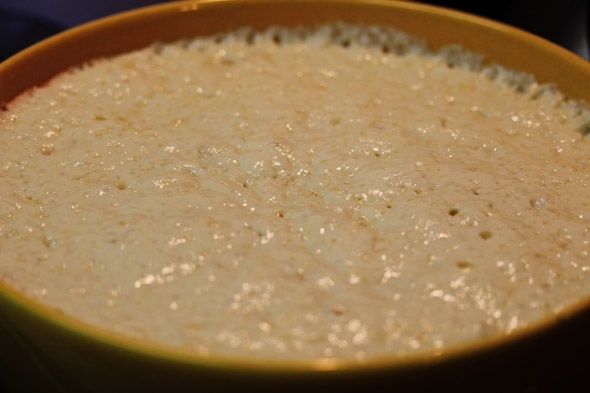 If you leave the yeast out of the recipe is the mixture ready immediately? 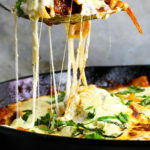 Just wanted to say THANK YOU cause I am definitely beefing up my culinary skills with your recipes (my husband thanks and loves you too! LoL). I’ve never had a solid fried chicken recipe and am definitely trying yours…was just wondering what kind of deep fryer you have?? 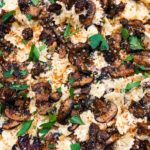 Just came across this blog, and it’s so great!!! Everything looks amazeballs!!!!!! Can’t wait to try this recipe. Looks amaze! 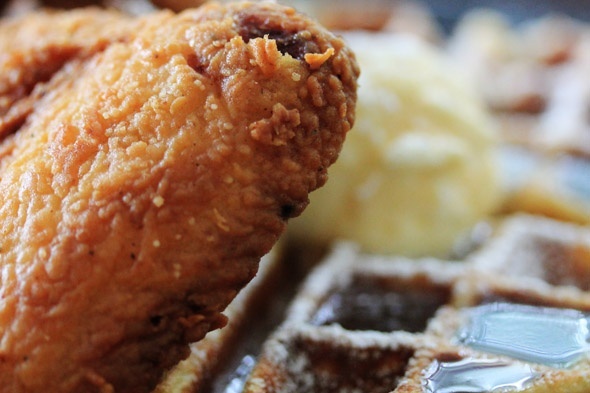 Can your fried chicken recipe be used with boneless chicken? Thanks for the great blog! 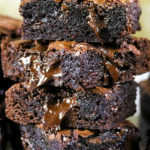 First thank you for sharing you recipes. Second, so for the long post. –>Question…on Friday 1/9 I will be preparing brunch for my mom’s surprise 60th Bday for 32 people (16 half waffles) and wanted to use your recipe. I tried using my inlaws tonight and well…we will just leave it at that. Nonetheless, I multiplied the recipe by 4 with hopes of gaining the same out come. (5c milk, 2c butter, 10c flour, 4TBSP yeast, 8 LG eggs, 8 tsp Honey, 4 tsp salt, 8TBSP sugar) If you could let me know if this looks about right I’d really appreciate it. Thank you, again! Where did you purchase your waffle iron? 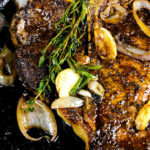 Did you use a cast iron skillet to cook the chicken or a cast iron pot? it’s a presto waffle maker from amazon. i used a deep fryer.